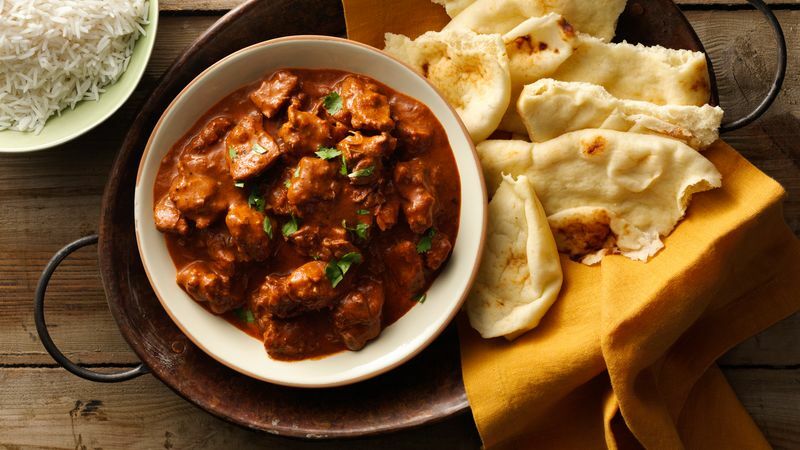 It’s hard to beat the name, but our Slow-Cooker Butter Chicken goes beyond just butter. In this slow-cooker version of the Indian takeout standard, developed in the Betty Crocker Kitchens, chicken gets a long simmer in a silky tomato and cream sauce that’s layered with spices and aromatics like onions and fresh ginger. The slow-cooker treatment gives the spices time to develop and harmonize while keeping the chicken super tender. The end result? One of the most flavorful dishes that will ever come out of your kitchen.